Dr. Negola is one of only 900 ABVP Diplomates in the United States and abroad. He is also one of only 334 veterinarians in the US certified in Canine and Feline Medicine and one of only 12 in the Delaware, Maryland, and Virginia area. Dr. Negola underwent a long (up to 7 years) and difficult process of additional studies and examination to become board certified. After certifying the process isn't over; as an ABVP Diplomate Dr. Negola is required to maintain certification every 10 years. ABVP Diplomates have proven knowledge and expertise above and beyond what is required to practice veterinary medicine. Dr. Negola earned the privilege to specialize in the treatment of dogs and cats. 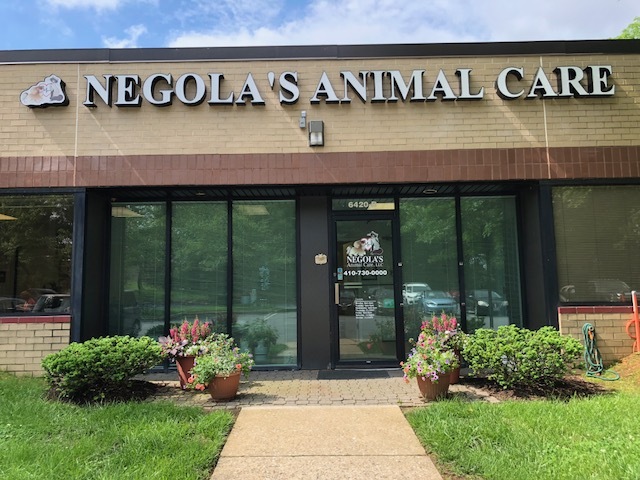 Bringing your pet to Dr. Negola allows you to be sure that your animals are receiving expert treatment because your veterinarian feels a strong commitment to providing the best possible care available. "ABVP advances the quality of veterinary medicine through certification of veterinarians who demonstrate excellence in species-oriented clinical practice. The Diplomates of ABVP have a common desire and willingness to deliver superior, comprehensive, multi-disciplinary veterinary service to the public. They are veterinarians who have demonstrated expertise in the broad range of clinical subjects relevant to their practice and display the ability to communicated medical observations and data in anorganized and appropriate manner".